IPL - a festival for Indians, where fellow Indians get together to enjoy amazing tashan between the two teams. IPL has made a big impact not only in India but around the world with its huge fan following. A Tournament where you find International and Indian players merge in a team to show off their best game with no bounds. Everyone is enthralled about the worlds most watched cricket Tournament – Vivo IPL 2019. Are you? Let’s make this more exciting with our very own version - TCB Run Sangram Contest! This contest is more than just cashback. You can win prizes worth Rs.10000!! The grand 3rd edition of TCB IPL contest, exclusively for its members is here, with prizes like never before! Participate to the contest by registering your team on the link provided below or via our Newsletters. What do I do after I participate? Lead your team to victory by scoring runs and win exciting prizes worth Rs.10000! Shop from among the widest range of stylish apparels, trendy footwear, mouthwatering food, soothing home interiors, latest electronics, beauty, travel and more from your favorite retailers on TopCashback India. Every order/transaction you make earns runs to your team. 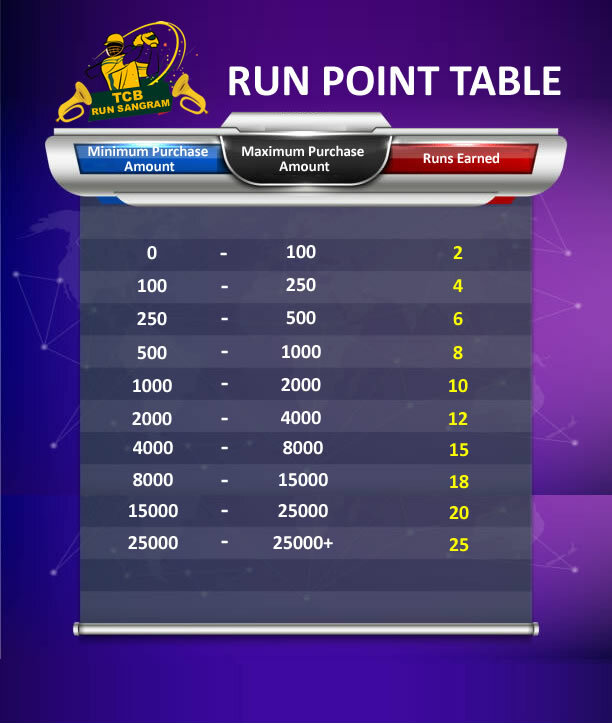 Score the maximum runs by making transactions and lead your team to victory! How do I Score Runs? Transact more, score more! The higher amounts you purchase the more runs you score and the closer your team is to victory! We will be announcing the scoreboard of Teams/Participants on our blog every week. Please note – Transactions made only during the contest period will be qualified and awarded with runs. 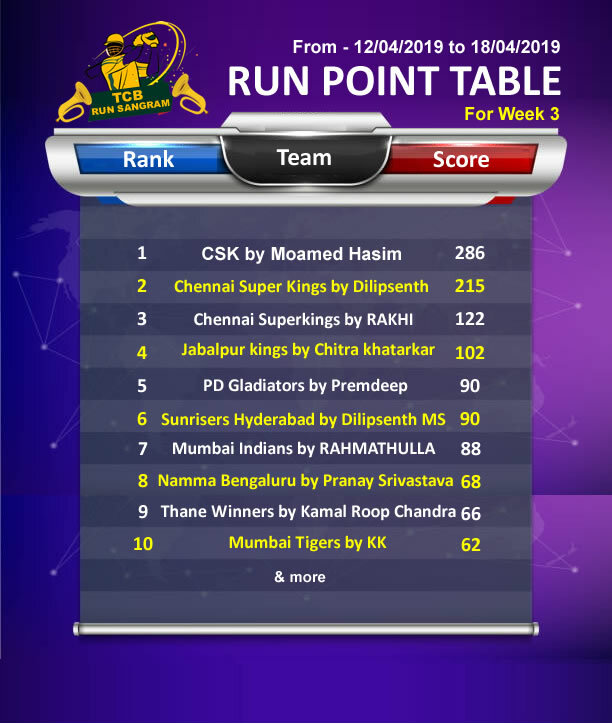 It's not over yet - Keep shopping to Top your team on the Run Points Table! Your chance to score extra runs for your team! A Free Hit is a secret code/puzzle/question awarded to participants at any point of time during the contest ONLY via our Newsletters. Every correct entry for Free Hit can fetch your team a valuable 2 to 6 Runs. A Total of 10 Free Hits are awarded randomly anytime during the contest via Newsletters. Subscribe to our Newsletters to earn a Free Hit during the contest! You don’t want your team losing, do you? Grand Prize: Echo Dot (3rd Gen) Smart Speaker with Alexa – Team with the most runs at the end of the contest! This hand-free voice-controlled device can make you smarter and get what you want faster. 1st Runner up: MI fitness Band 3 – Team with the second most runs at the end of the contest! Track your day to day activity with the smartband with call, messages and whatsapp notifications while you track your steps, calories burned and staying fit! 2nd Runner up: boAt Rockerz 400 Super Extra Bass Bluetooth Headset with Mic – Team with the third most runs at the end of the contest! Kill the noise, steal the show! Enjoy hip-hop, jazz and pop with extra bass. 5 Lucky Winners: Get Flipkart gift cards worth Rs.200 each. Let’s get started, it’s the TCB Run Sangram Contest - Run Banao, Inaam Le Jao! For more details refer to our terms and condtions.